Book the Jungle Gym Jam for Your Special Event! 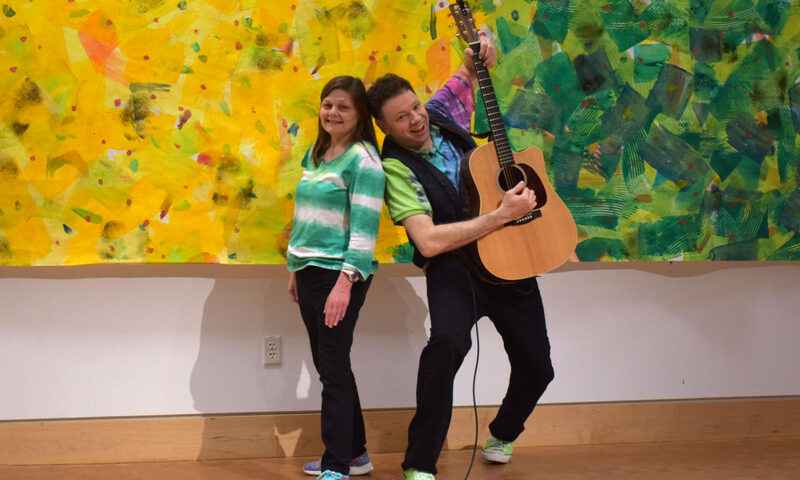 A concert performance with Jason Didner and the Jungle Gym Jam is interactive, energetic, informative and fun for kids of all ages and their grown-ups. Whether as an acoustic duo or a full rock band, Jungle Gym Jam will fulfill a wide variety of needs where space, volume, promotion and budget are concerned. The group has its own sound system and usually just needs an electrical outlet in order to put on a show. In smaller settings the duo can even perform unamplified – with just the natural sound of voices, acoustic guitar and percussion in the room. Most performances run 45 minutes, a perfect fit for young attention spans, but can be adjusted to run longer or shorter as needed. Here’s a live acoustic duo performance of “Jam Packed” performed at Ocean County Library. Here’s a 30-minute full-band performance to help you see the effect of hiring the whole group for a performance in a larger setting. 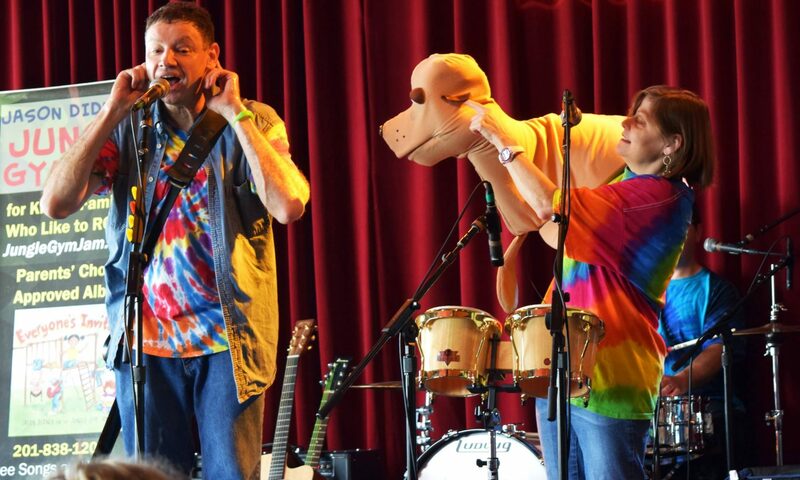 Read a concert review by Mommy Poppins Philadelphia to get a sense of how a Jungle Gym Jam concert is received by parents who write extensively about events that enrich family life. Before booking, check the show schedule to see if Jungle Gym Jam are already booked on the desired dates. If you have questions or want to book, call 201-838-1205 or email info@junglegymjam.com.